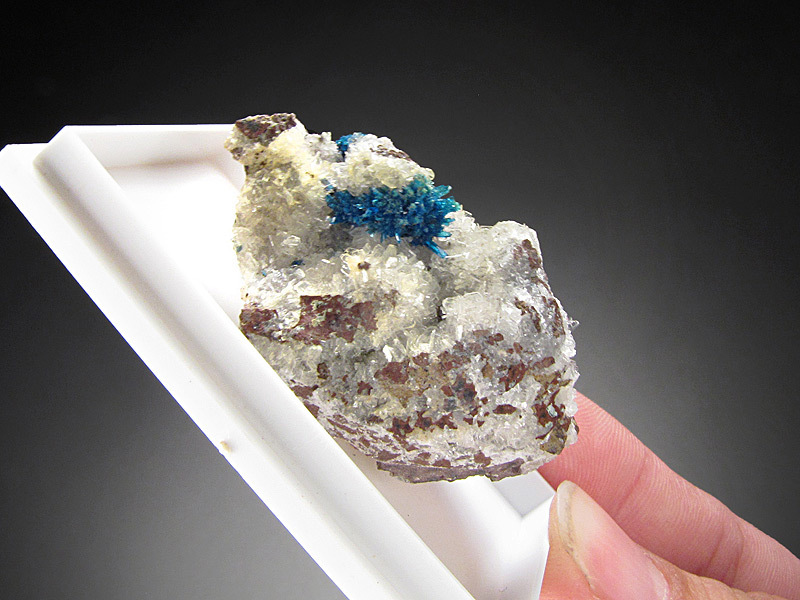 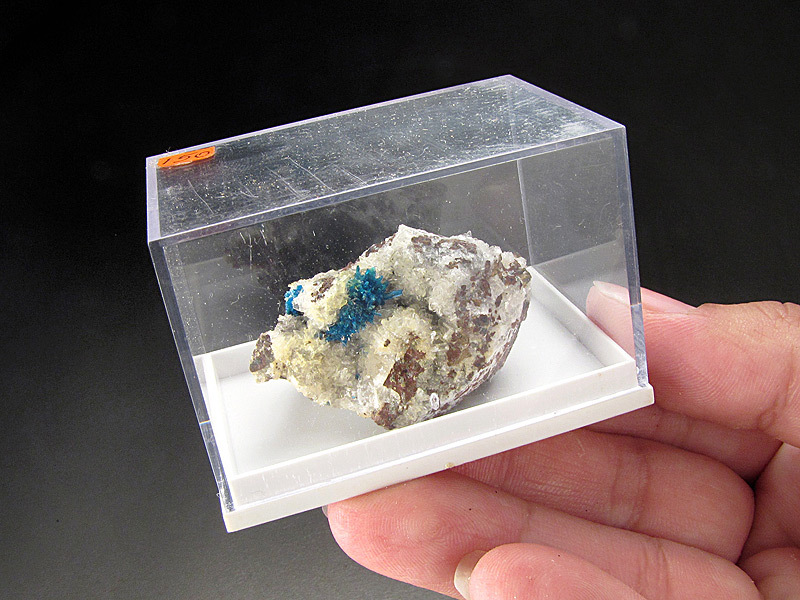 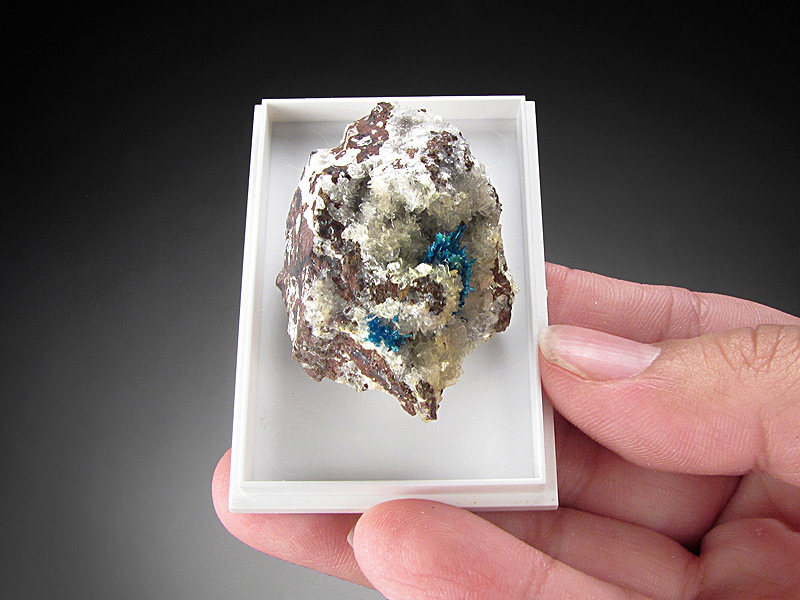 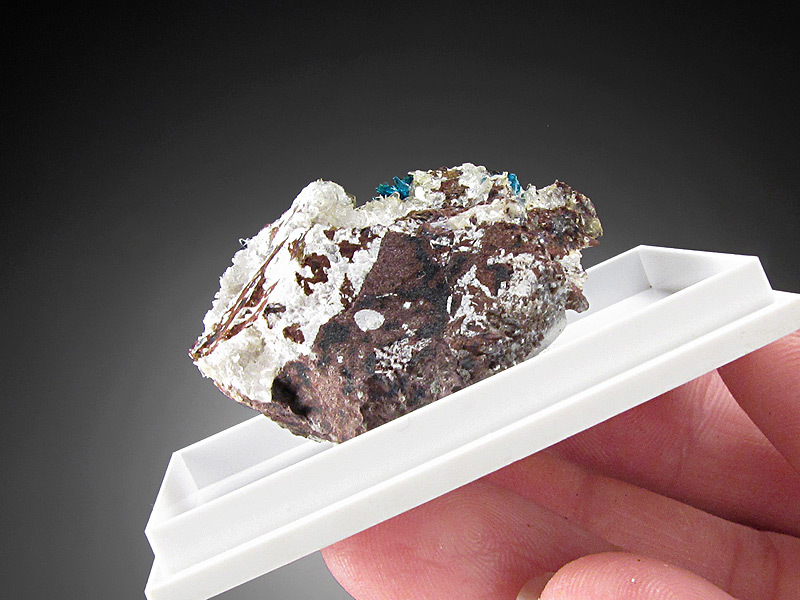 The electric blue mineral called pentagonite is seen here resting upon a contrasting white matrix. 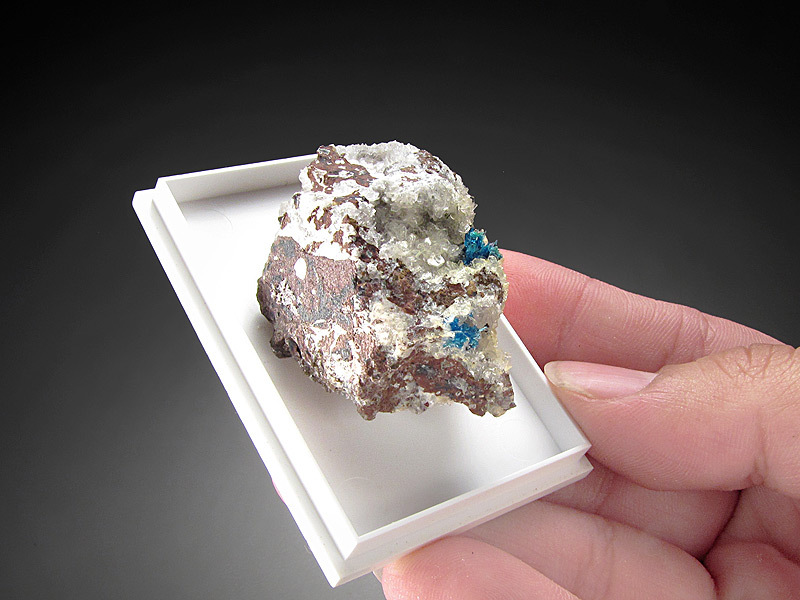 The overall dimensions of this piece are 4.1 cm wide by 3.1 tall cm and is 2.4 cm front to back. 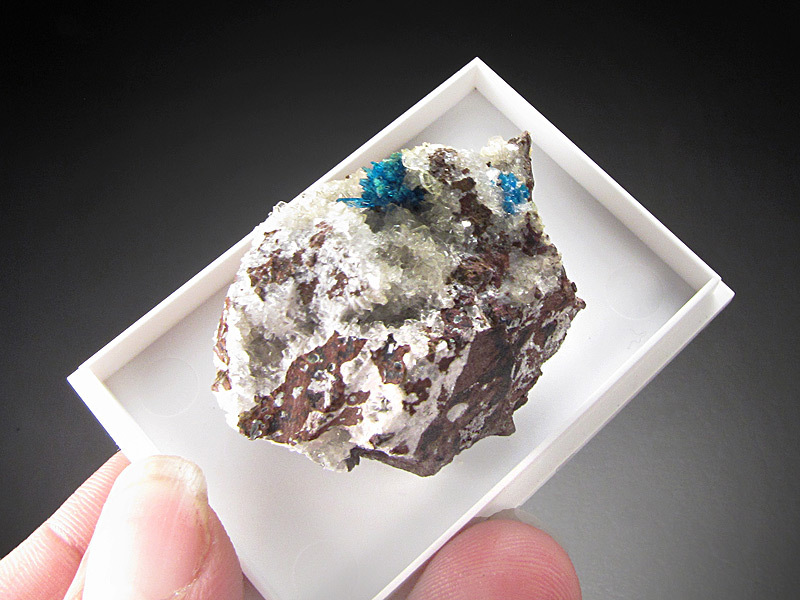 The locality is the Wagholi Quarry, Wagholi, Pune District, Maharashtra, India. 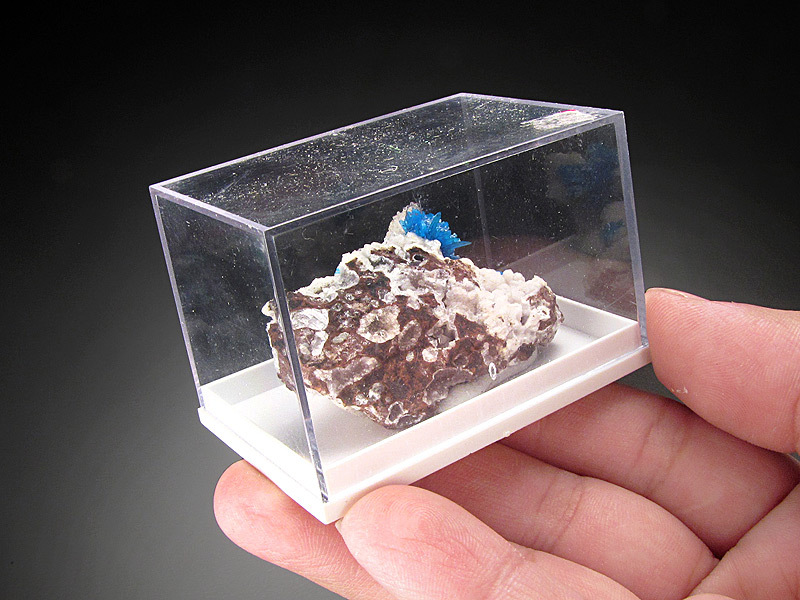 There is light contact damage on this piece.